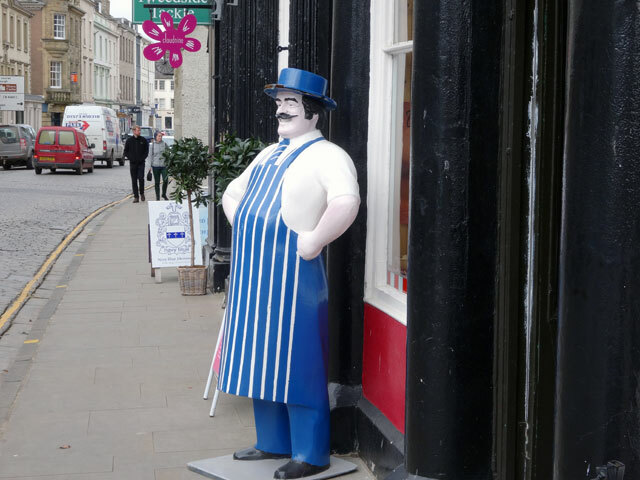 I snapped this butcher’s advert when we were in Kelso at the weekend but the reason for including it here is that the butcher’s main shop is in Duns and he (Greg Foston) has been in the news for designing a Scotch Egg for Easter – sausage meat around a Cadbury’s chocolate egg! I woke and walked Mix before having porridge in the farmhouse. Then it was off to the Bothy to try to sort out a number of issues which had been given to me at the Presbytery Business Committee. It was a successful but time consuming activity and took me until lunchtime when I ‘enjoyed’ some oatcakes with cheese (I’m on a diet). Now we know whom New Newland will face in the final of the World Cup on Sunday. It will be an Australian New Zealand clash and I suspect that the fact that the game is in Australia and with their superb record that Australia will be the favourites, but I still fancy New Zealand. They have played with courage and flare and have nothing to lose. In the afternoon David popped in. It was good to see him and he was a bit more mobile than last time I saw him. I then carried seven boxes of books into the Bothy and spent the rest of the afternoon and some of the evening unpacking them and putting them on the shelves. Progress is being made, slowly. I ate with the family in the farmhouse, soup and my favourite cheese and bean pie, and later at nine, we watched Banished on the television. It is pretty grim but also quite fascinating. I watched the News before bed and I have been re-watching some of the old Rising Damp programmes starring Leonard Rossiter. They really are very good!